Mark Babatunde is a believer in the wonders of rice and beans. Quite thin and very nervous, he likes to laugh out loud in his high pitched voice just to enrage his nice neighbors. He has a bucket list that includes jet skiing from Lagos to London. He is also a wannabe nudist, a civil engineer and the biggest fan of the Simpsons. Nigerian health authorities in conjunction with the World Health Organization and other international partners on Saturday commenced the first phase of a proposed mass nationwide emergency immunization campaign for children against the wild polio virus. Earlier this month, Face2Face Africa reported that two fresh cases of the wild polio virus had been identified in parts of Borno State in Nigeria’s troubled northeastern region, in what the health authorities and WHO officials describe as a major setback for the country’s drive toward being a certified polio-free nation. The AFP reports that Nigeria’s Health Minister, Professor Isaac Adewole, said that plans have been put in place to launch five rounds of a polio immunization campaign across the country, beginning in the northeastern region that has been devastated by the violence of the Boko Haram Islamist group in the last five years. Professor Adewole added that two out of the five rounds of the polio immunization campaign would be conducted across the 19 northern states and Abuja, another would focus on the five northeastern states affected by the Boko Haram insurgents, and the remaining two would span across the entire country. The Minister said, “[The] report from the investigation carried out by our team, revealed that both cases came from security compromised areas of Borno state, which have had limited access to any form of health services, including immunization since 2012. “The case reported in Jere LGA was from a child who had arrived at the IDP camp in Maiduguri after trekking for two days following the provision of an escape corridor by the military authorities. “The second case was detected in Gwoza LGA, where their health facilities have been destroyed by insurgents and accessibility was a barrier to service provision,’’ he said. Professor Adewole put the number of children expected to be covered between the months of October and November by the nationwide immunization campaign at about 56 million, 31 million of them in the North and 25 million in the South. The minister said further that the immunization campaign would need to liaise with the security agencies and the governments of neighbouring countries, such as Chad, Cameroun, and Niger Republic, on the northeastern border to prevent a possible cross border infection. “We are working closely with the Ministry of Defence to provide security for the health workers during the house to house immunization and also to provide timely information on security and accessibility situation in Borno state and its environs. “Also plans are underway to reinforce and intensify immunization of intending pilgrims to Saudi Arabia,’’ he said. Adewole said that adequate supplies of vaccines have been provided at different International Port Health locations and airports. “Mindful of the malnutrition among recently liberated population, the Nutrition Department in the FMoH will closely work with the Response Team in Borno to provide nutritious meals alongside Oral Polio Vaccines to the targeted children,’’ he said. 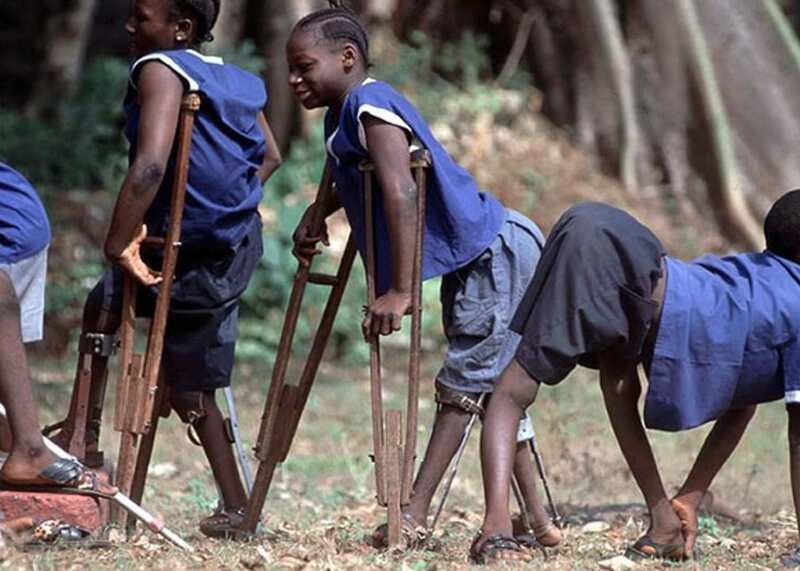 Nigeria’s last known case of wild polio infection was July 2014. It was scheduled to be declared a polio-free country by the World Health Organisation if it had made it to July 2017 (three straight years) without recording any new cases of wild polio infections.